As we face cold and flu season, avoiding illness is top priority. Avoiding exposure and contamination is not always possible. People generally try boosting their immune systems through natural supplements. There is yet another capable defense you can add to your arsenal of disease fighting weaponry: chiropractic care. Often, when there is a group of people working together in close quarters, one person may become ill and spread contamination to their coworkers. Upon exposure, not everyone becomes ill. Not everyone catches the cold that they were exposed to. 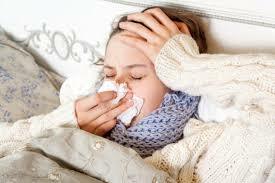 Breathing cold viruses does not in and of itself cause colds. Are some people more resistant to disease than others? What makes one person more resistant than another? We are constantly exposed to bacteria, viruses and parasites with the potential to make us very ill. Yet, most of us do not get sick very often. Your body is usually able to fend off these assailants using your wonderous immune system designed to protect and fight against these infections organisms. What makes you vulnerable? For germs to overgrow into an infection this natural defense system or “resistance to disease” must be low. Our nervous system is threaded through our entire spine and runs throughout our body. It is the means the brain uses to communicate proper function of all body systems. It works with the immune system in order for the body to adapt to various conditions, and when required - to heal appropriately. Spinal misalignments, known as subluxations, can cause neural dysfunctions which can lead to a stressed or weakened immune system. Chiropractic care can help raise your natural resistance to disease by removing this serious interference to your optimal body function. Chiropractors are specifically designed to detect, locate and correct subluxations. In 1975, Ronald Pero, Ph.D., chief of cancer prevention research at New York’s Preventative Medicine Institute and professor of medicine in Environmental Health at New York University, began developing scientifically valid methods of estimating individual susceptibility to various chronic diseases. In his research, he discovered that various kinds of spinal cord injuries are accompanied by a high risk of developing lymphomas and lymphatic leukemias. This connection led Dr. Pero to consider chiropractic as a potential alternative for reducing the risk of immune breakdown and disease. Corrective Chiropractic care could make the difference between a quick recovery and lingering colds and flus. Rather than suppress your immune system with strong medications, harmful vaccines or antibiotics that do not fight viruses, use chiropractic to effectively boost your natural disease fighting immune system. Dr. Deanna Barbaro of A Better Life Chiropractic uses X-ray imaging and clinical postural evaluations to assess spinal misalignments. Call (239) 263-3369 to make a new patient evaluation to free your body of subluxations. It is possible. You can strengthen your immune system and keep your resistance high. P. C. Brennan et Journal of Manipulative and Physiological Therapeutics 14 (1991): 399-408. East West Health Magazine, November, 1989.